Ready for Adventure? This might be the bike you are looking for. I bought this gorgeous red beauty with the intent of doing more adventurous street riding but, instead, I keep gravitating toward the dirt. So it is time to let her go to someone who will appreciate and use her superb adventure capabilities. 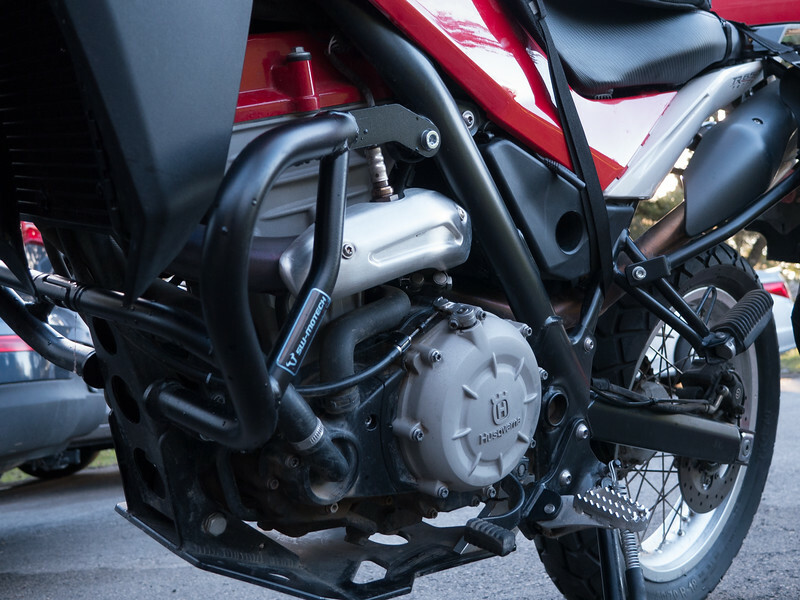 Husky came out with this bike in 2013 as a direct competitor to bikes like the KLR650. Weighing in at 404 lbs stock, the TR650 Terra is a big improvement over similar Japanese adventure bikes. The Terra’s lighter weight, more powerful engine (50 hp), better transmission, and modern suspension make her simultaneously better on and off-pavement than any Japanese competitor. $4500. 10,300 miles on the odometer but increasing as I ride the bike. Madstad windscreen – $265. The stock Terra doesn’t include a windscreen but Husky does offer a small “touring” windscreen (included with this sale). I used that at first but wanted more so I added the Madstad screen to provide additional comfort while riding at highway speeds. The Madstad is an engineering marvel and its adjustability makes it far superior to any fixed windscreen. 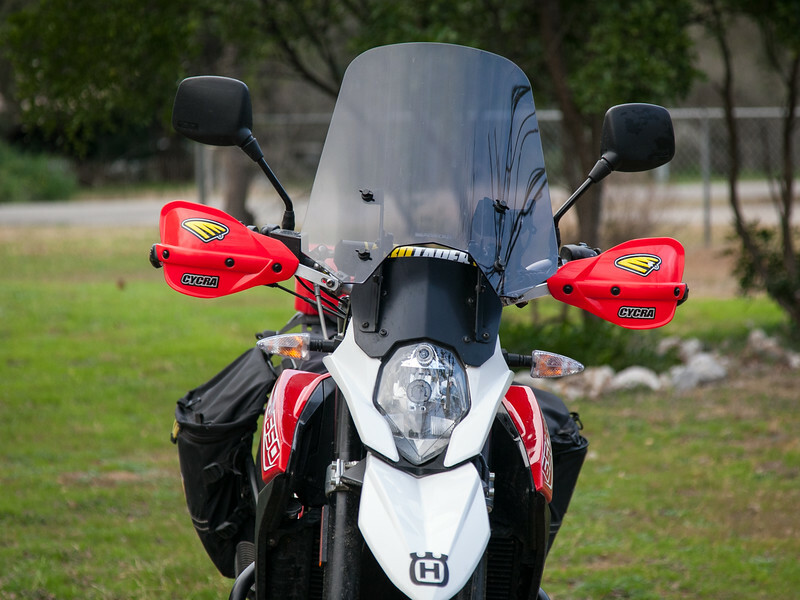 If you don’t like it, you can easily remove it and go without or reinstall the Husky “touring” screen. 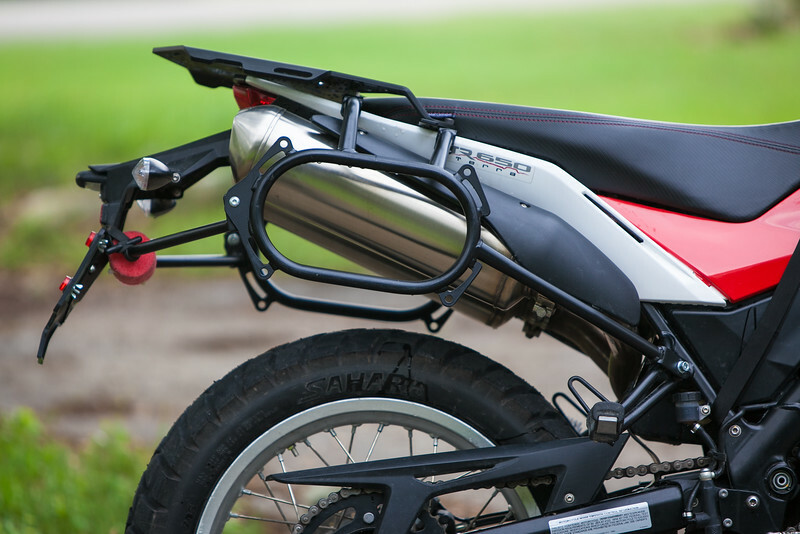 Motosports skid plate – $100. 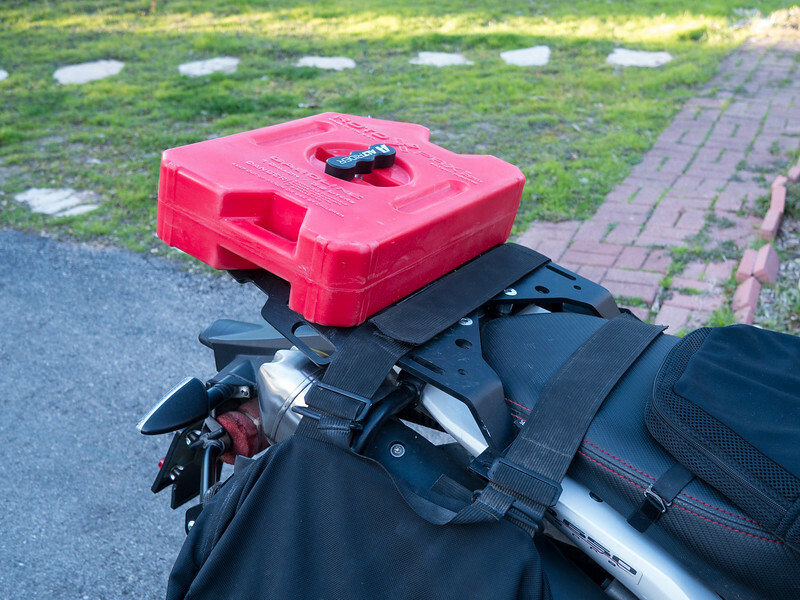 This strong, sturdy skid plate is designed to provide protection to both the underside of the engine and the cases. SW Motech crash bars – $202. 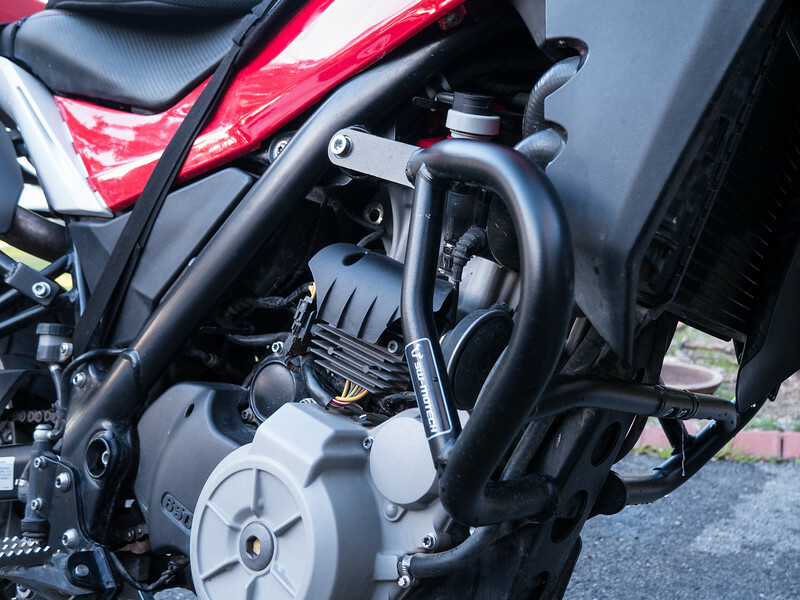 The SW Motech crash bars are very solid and working in conjunction with the skid plate provide excellent protection to the engine and side panels. 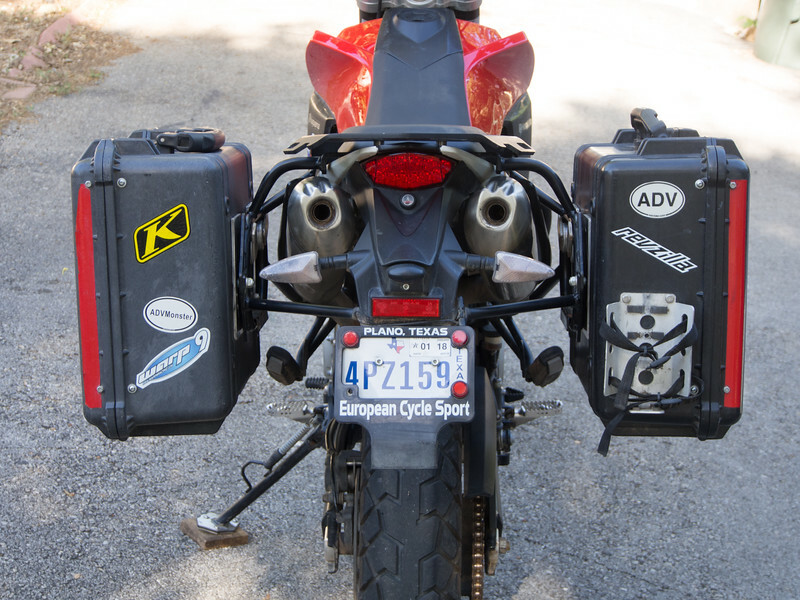 BR Moto side racks – $200. These racks can be used with hard or soft luggage. 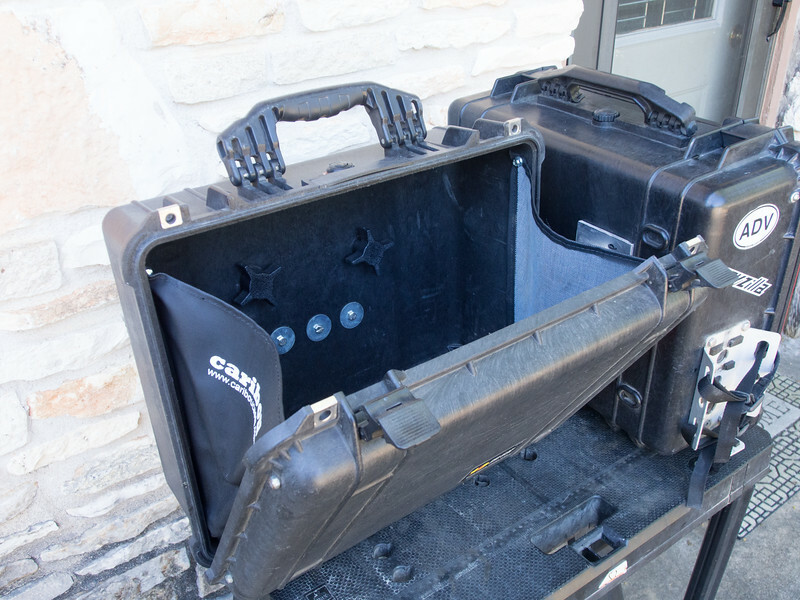 Nomadic rear rack – $100. This rack comes pre-drilled to accept a Rotopax gas tank. And, of course, can be used to carry a rear tail bag (please note that the Rotopax is not included with the sale – it is for illustrative purposes only). 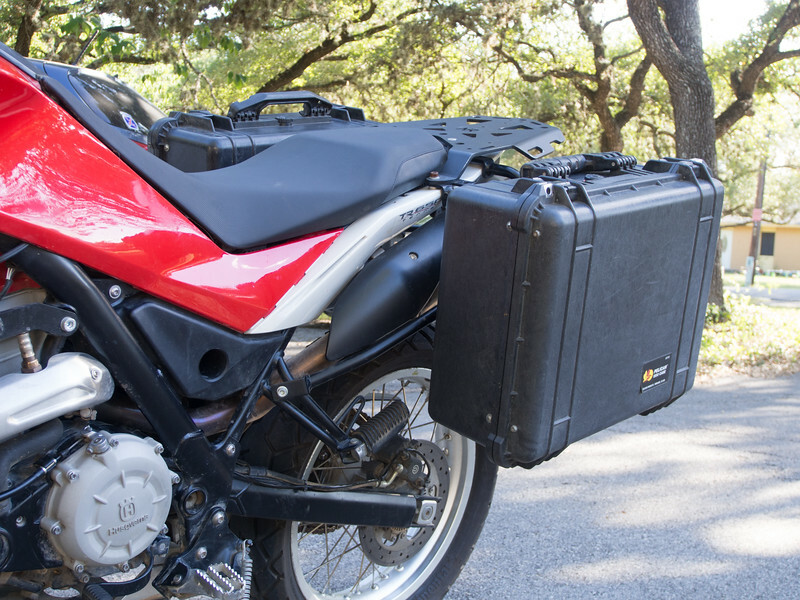 Caribou 35L side cases hard luggage – $500 Caribou luggage systems uses Pelican cases to build some of the sturdiest hard luggage in the motorcycle industry. 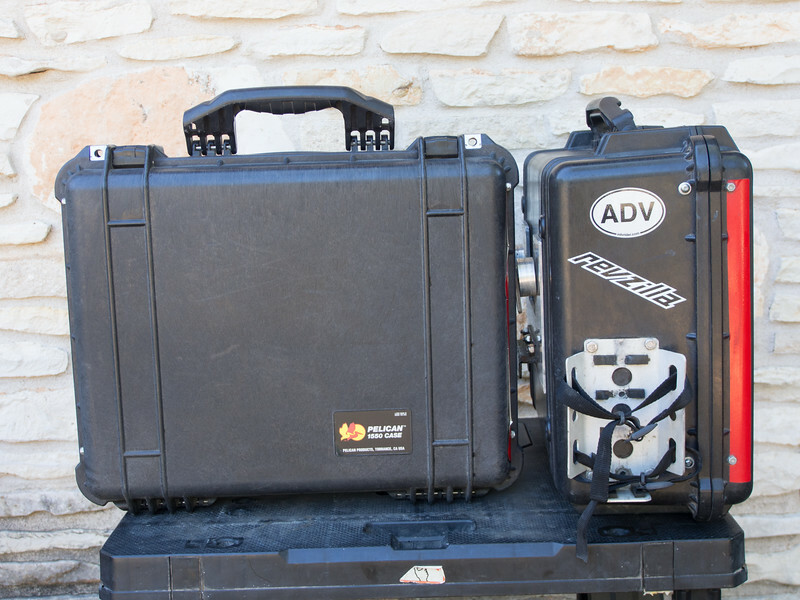 These are the Pelican 1550 35 liter cases with the internal Caribou system, and homemade mounting brackets on the back. 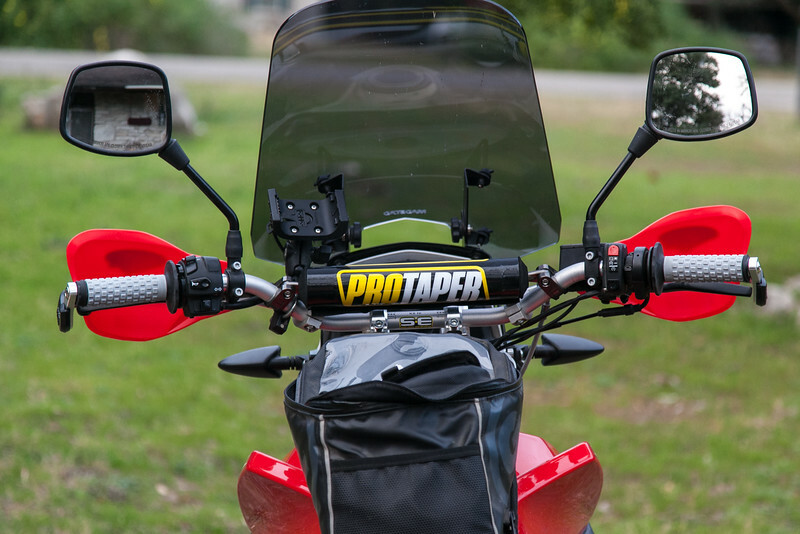 Pro-Taper KX high bars, Cycra Pro-Bend handguards, Rox risers, and Pro Grip 714 dual sport grips – $300. The Terra comes stock with mild steel handlebars that don’t have a crossbar. The bars were a bit too low for my taste plus mild steel handlebars are weak and bend easily in a fall. 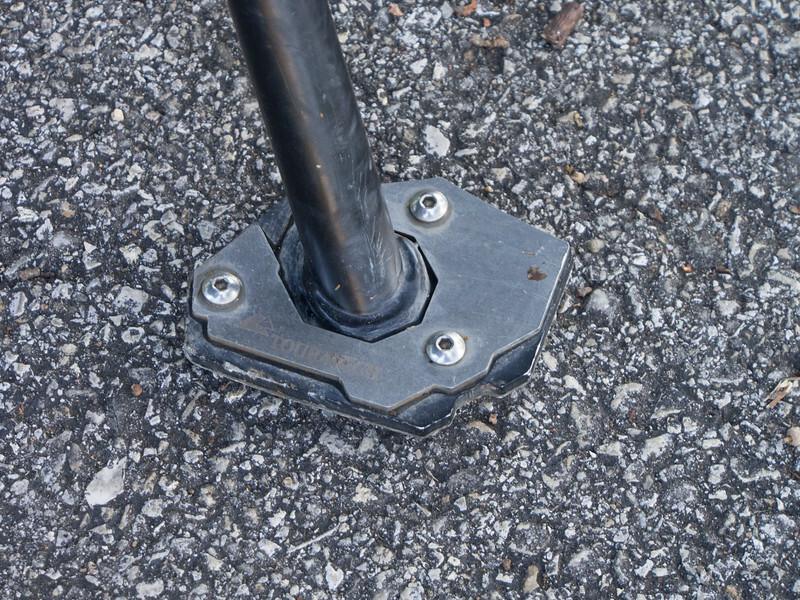 I added aluminum Pro Taper bars (higher than stock and significantly stronger) and Rox risers for more comfort and control while sitting or standing. 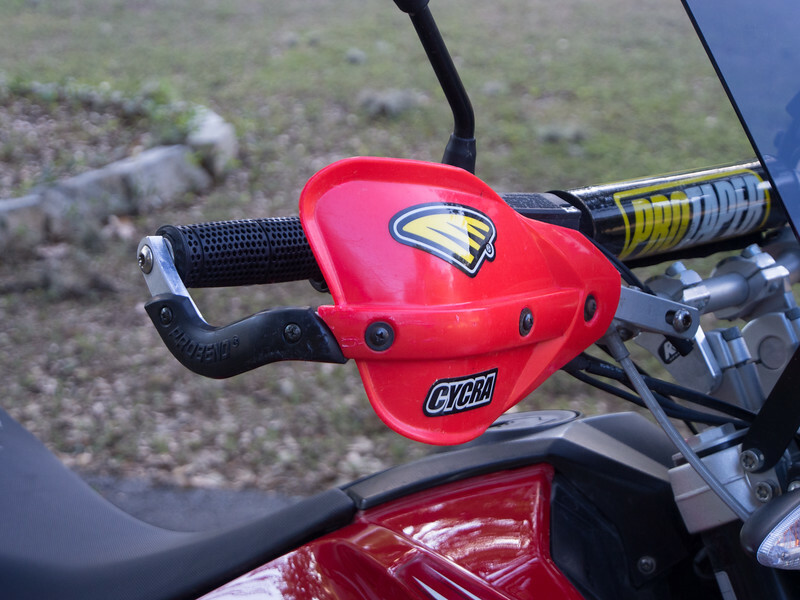 The handguards protect your hands. And they protect your clutch and brake levers in the event of a fall. The thicker grips are more comfortable than the stock grips. 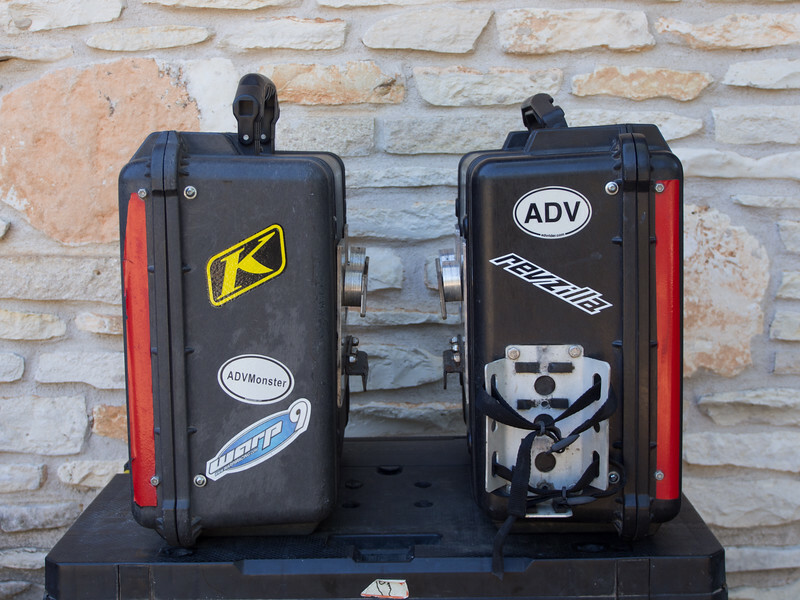 Wider footpegs and Touratech enlarged kickstand foot print – $200. 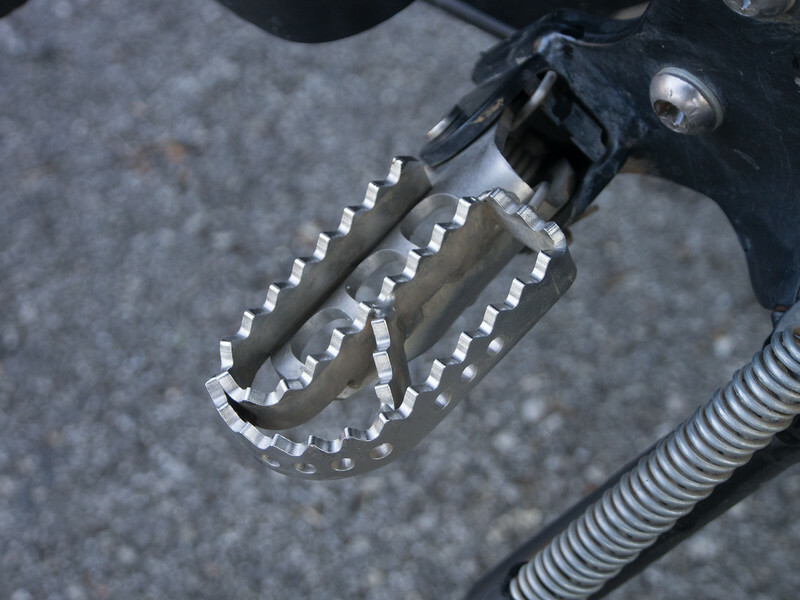 Wider footpegs are more comfortable for standing when riding. 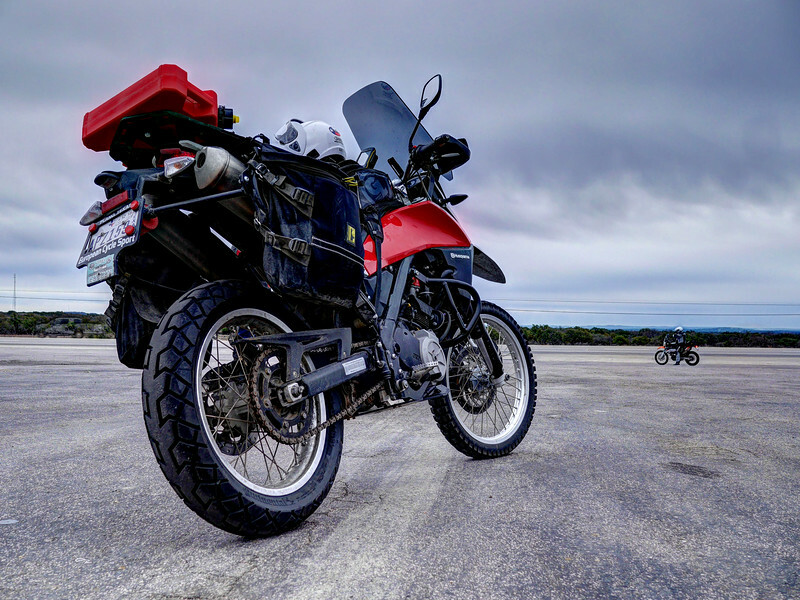 The enlarged Touratech upgrade provides a wider foot print when parking the bike off-pavement. Dobeck EJK (electronic fuel kit) – $225. 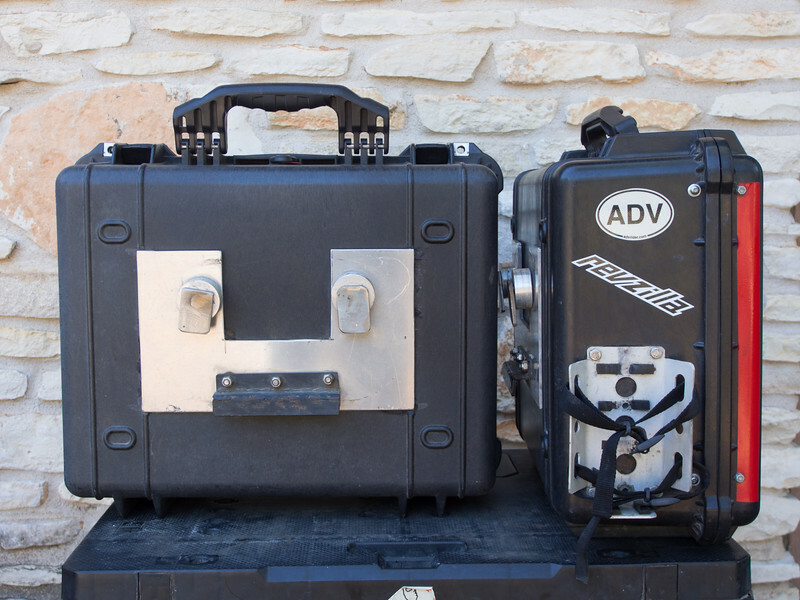 I used this kit as a performance mod until I had the electronic control unit (ECU) updated to the latest release. The bike runs great with the latest update so I haven’t reinstalled the EJK. I am including the EJK with the sale. Pod mod – $75 The stock airbox on the Terra allows unfiltered air into the engine. The pod mod fixes this problem. I completed the airbox Pod Mod as soon as I got the bike. The bike is in fine shape and runs great. I keep it in my garage on a battery tender. The only minor issue with the bike is the dashboard “S” button just stopped working (common issue). It can be repaired at home, I just haven’t done it yet. 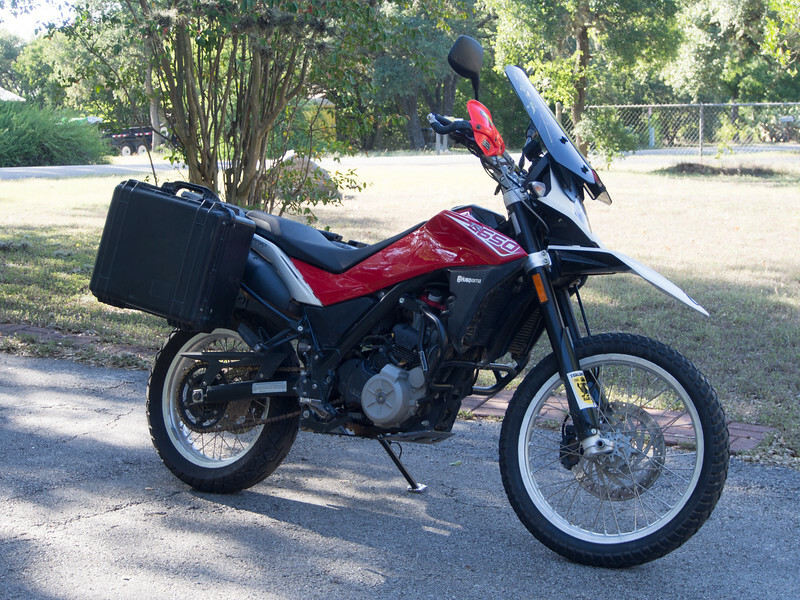 For the small sum of $4500 you get the motorcycle with all the mods listed above, the Caribou side cases, the Dobeck EJK, and all the stock parts I have for this bike. Contact me here or via mobile at 512-203-6143. The bike and I are in the Austin metro area. A man and his motorcycle – it’s a beautiful thing.